It’s Sunday and I’m only just starting this post, so expect mostly pictures as I have a busy day ahead. We didn’t change partners this week, so I got to be with Sophia for another week! 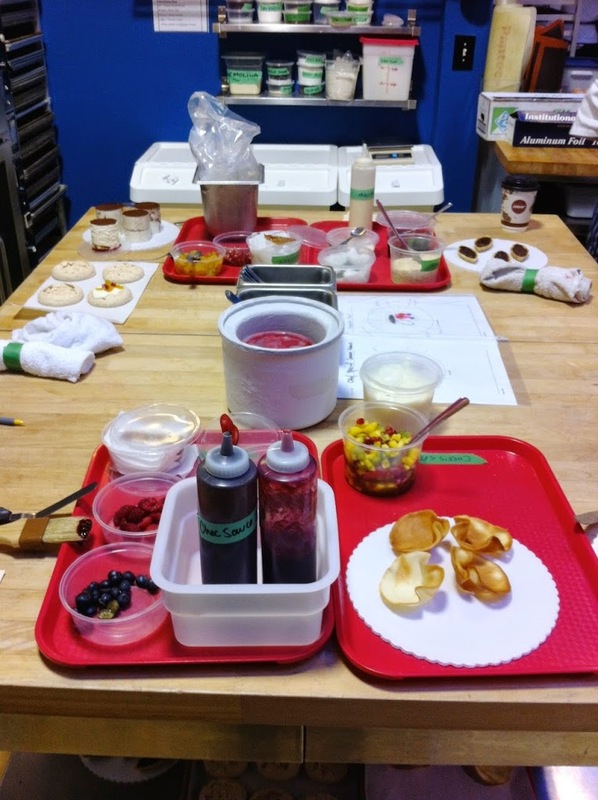 Today’s focus was frozen desserts… LOTS of frozen desserts (see below for a list) and lots of sauces. 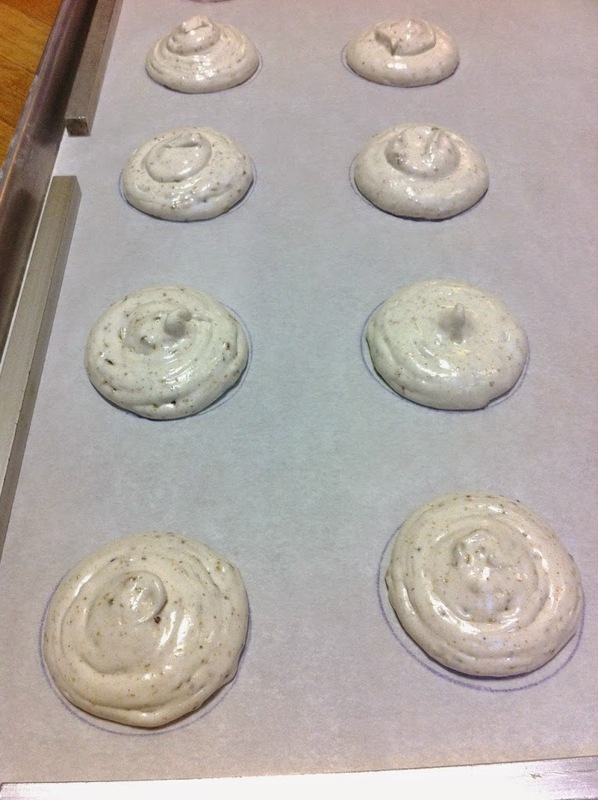 I only got a pic of one of them, as the others need to sit in the fridge overnight and be churned tomorrow. 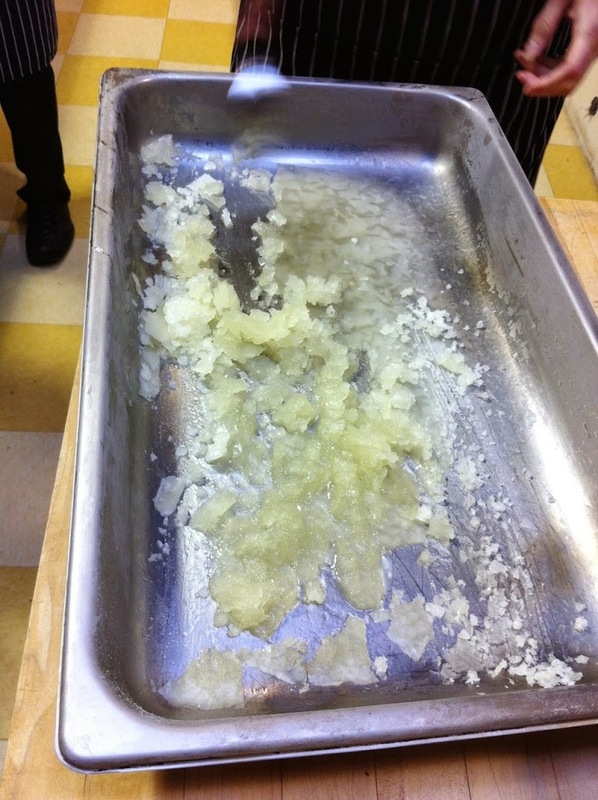 Here’s the Lemon Granita that Chef Stacy demonstrated for us. It’s just simple syrup and lemon juice, partially frozen at this point. You run a fork through it to break up the crystals, then put it back into the freezer and repeat until it’s the right consistency. 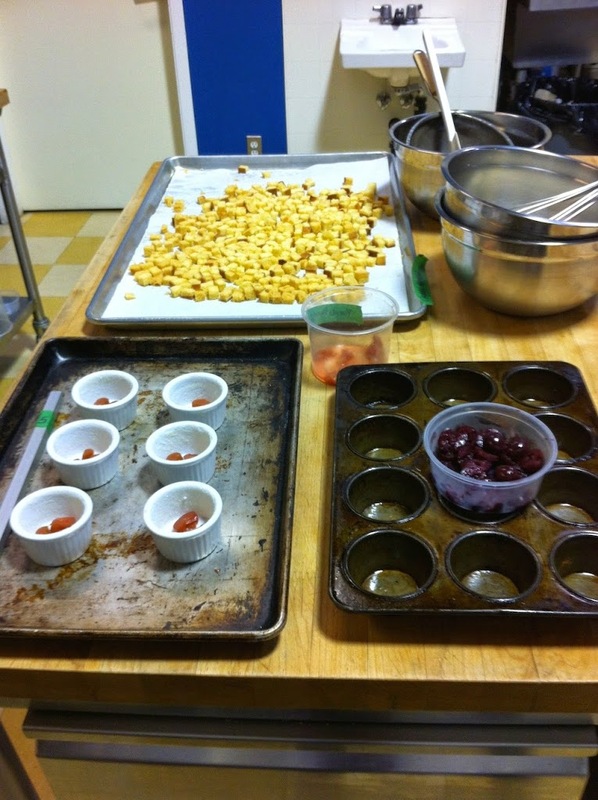 Today we moved on to plating, which will be the focus for the rest of this week and next week as well. We will be learning how to plate stuff to it looks pretty, but also getting a taste for what it would be like in a restaurant kitchen, with orders being called out that need to be plated quickly. 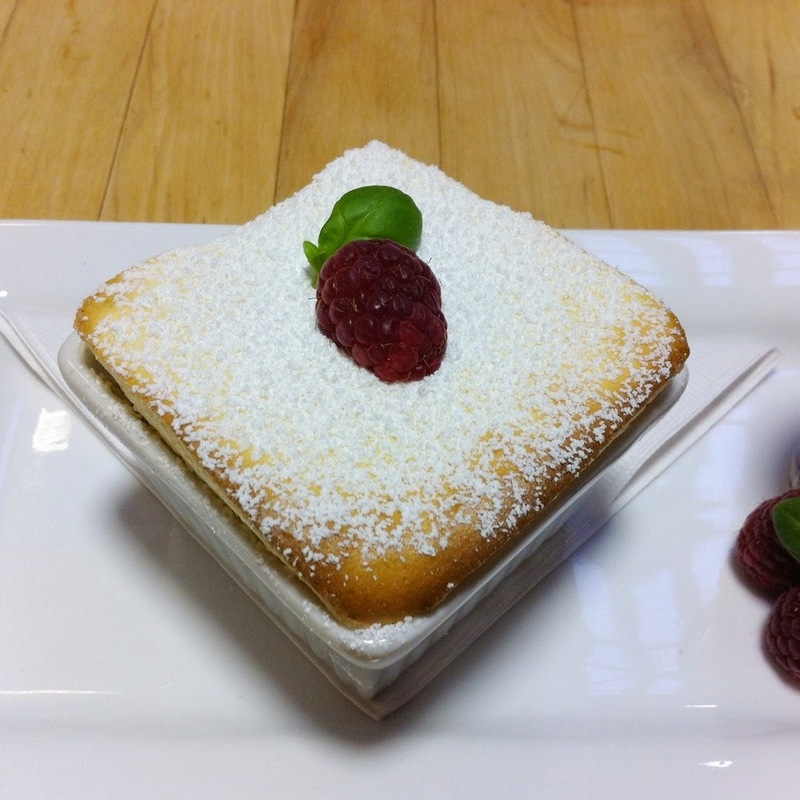 We made a couple of soufflés today. I actually don’t think I’ve ever had one before… it was never something I would order at a restaurant. Making them seemed intimidating, but it actually wasn’t too bad. 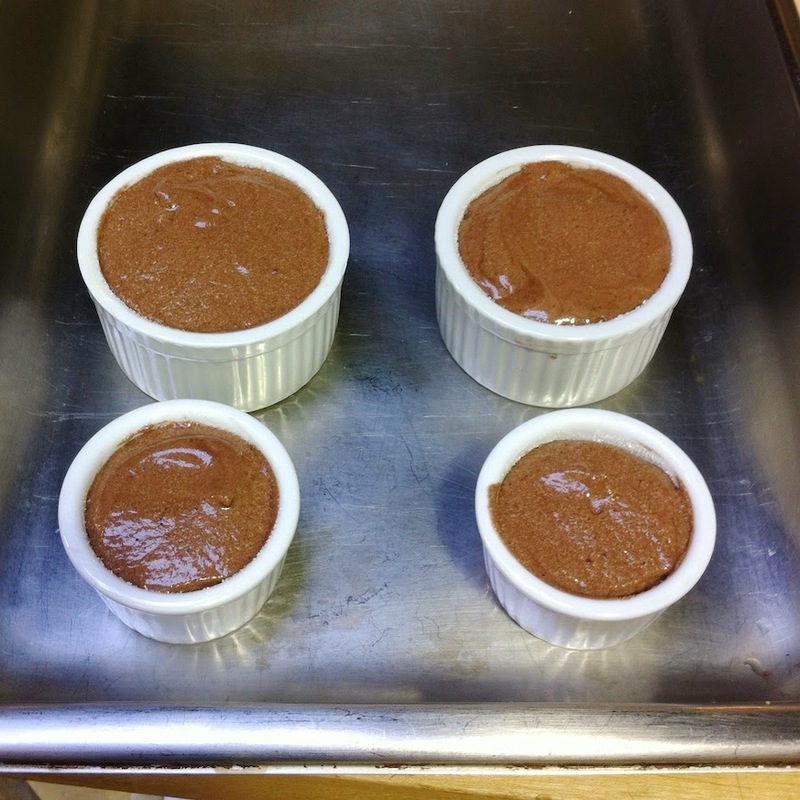 Chocolate soufflé ready for the oven. 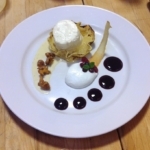 We did a couple of different plating techniques, but this time it was all up to us – we got to come up with our own arrangements. 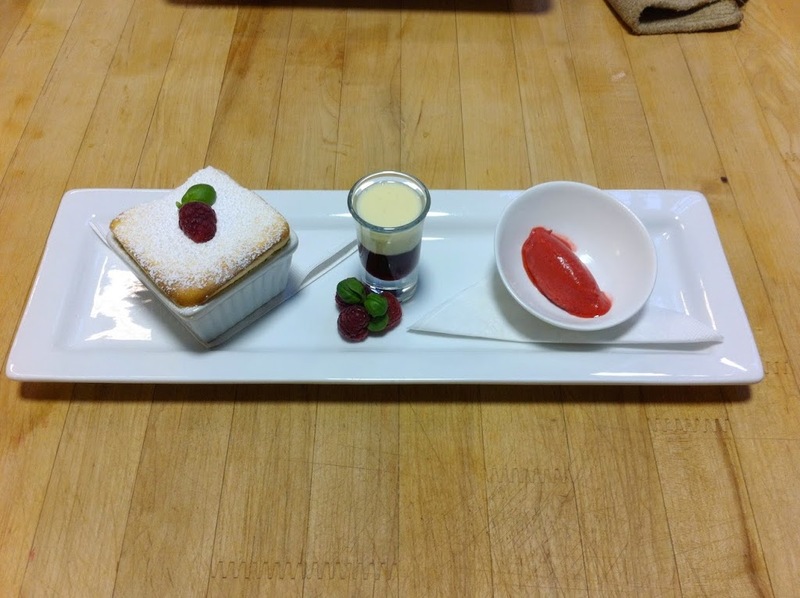 This one has a side of cremé anglais, and raspberry coulis in the little pitcher on the side. And this one is a side of caramel sauce and cremeé anglais layered in a shot glass. I’m pretty happy with how both of these turned out! Of course we got to sample it after we were done. It was delicious, but I preferred the lemon one we baked next. 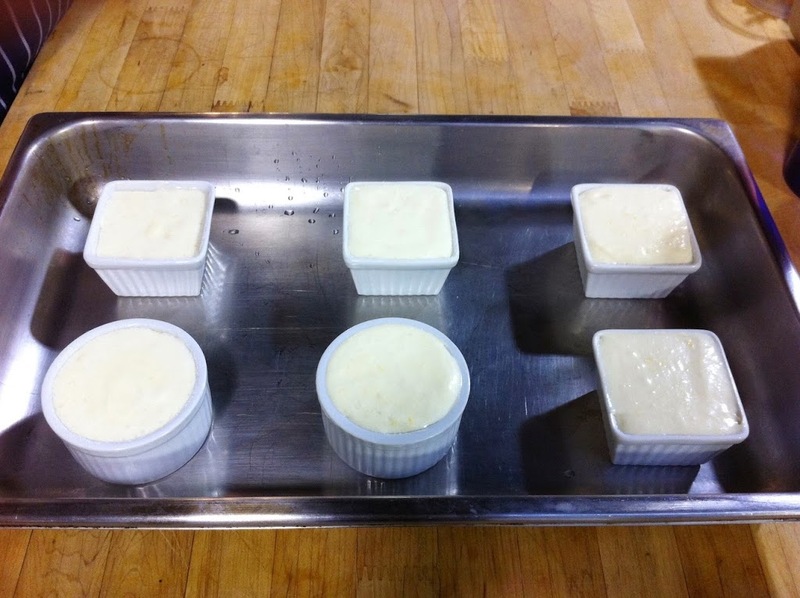 Lemon soufflés ready for the oven. 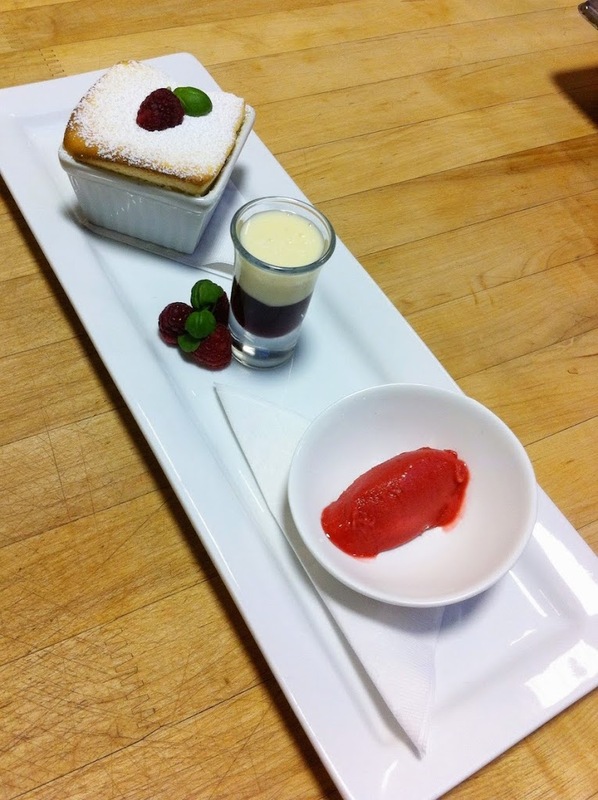 A side of raspberry sorbet and a shot glass with raspberry coulis and cremé anglais. We also made a bunch of things we’ll be needing for desserts in the next couple days. This was bread pudding day. 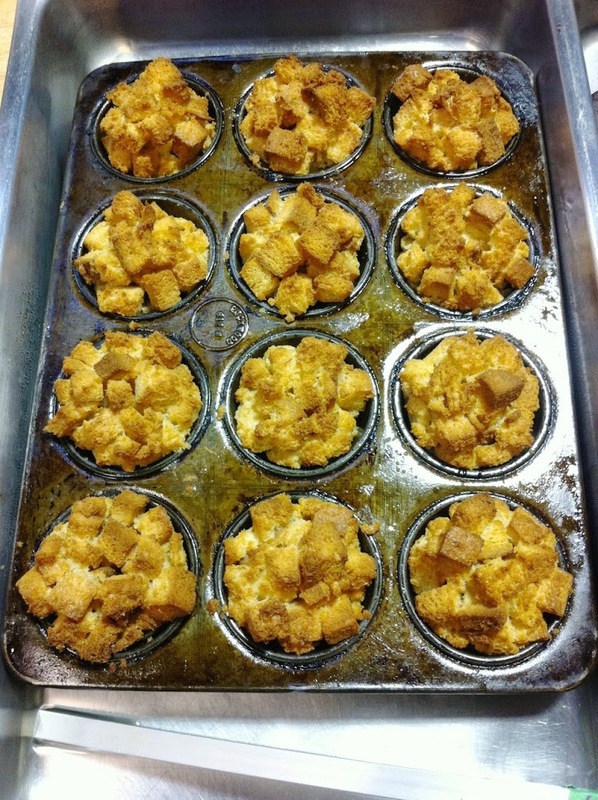 I’ve had one good bread pudding in my life… it was at the Rim Rock Cafe in Whistler, and it was amazing. I generally stay away from bread puddings, as soggy bread seriously grosses me out. I won’t even do French Toast. First up was the Brioche Bread Pudding with cherries. And then the Semolina bread pudding with poached rhubarb. Neither of these guys won me over. The Brioche one was good, but only on the top where the bread was crispy. Lower down where it got soggy….*shudder*. 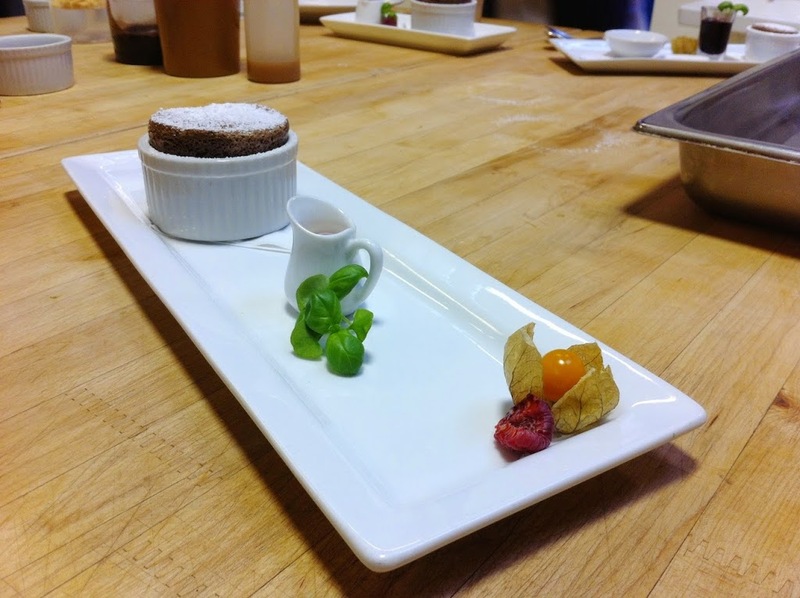 We had to plate these desserts today, but this time following specific guidelines. 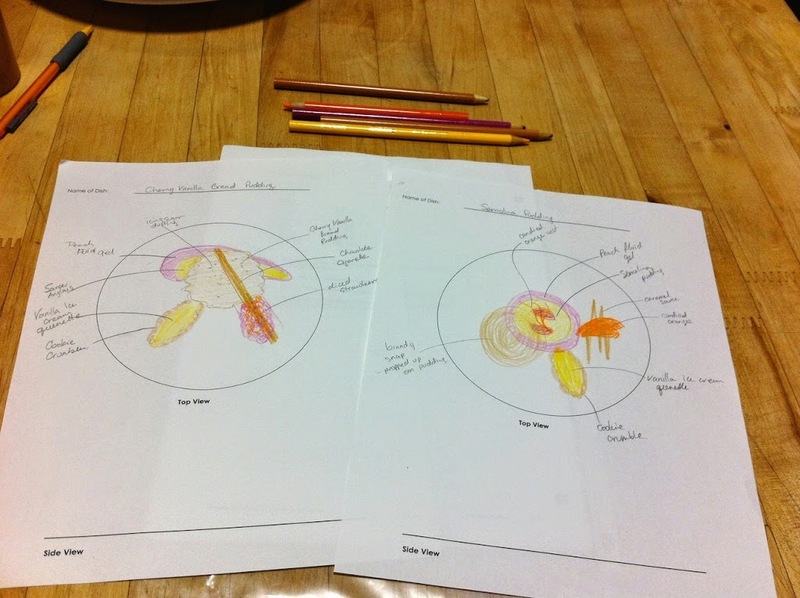 Chef Stacy showed us some pictures of what the plated desserts would look like, and then we had to draw them so we could have them as reference during the service portion. My art skills are legit. 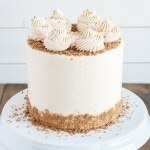 I should quit baking and focus on that as a career. Once we were done that, it was time to set up our station and get ready for service. Chef Jonathan was going to call out orders to each team, and we would have to plate them and bring them up to Chef Stacy for judging. Sophia and I were super lucky to be at station 5 this week, as it had double the space of everyone else’s. Naturally, we used up all of that space. Here’s our setup. Sophia on the right and me on the left. We decided that Sophia would do the semolina pudding orders and I would do the bread ones, and then we’d help each other out as needed (if there were 2 orders of semolina, for example, I would help her with one). 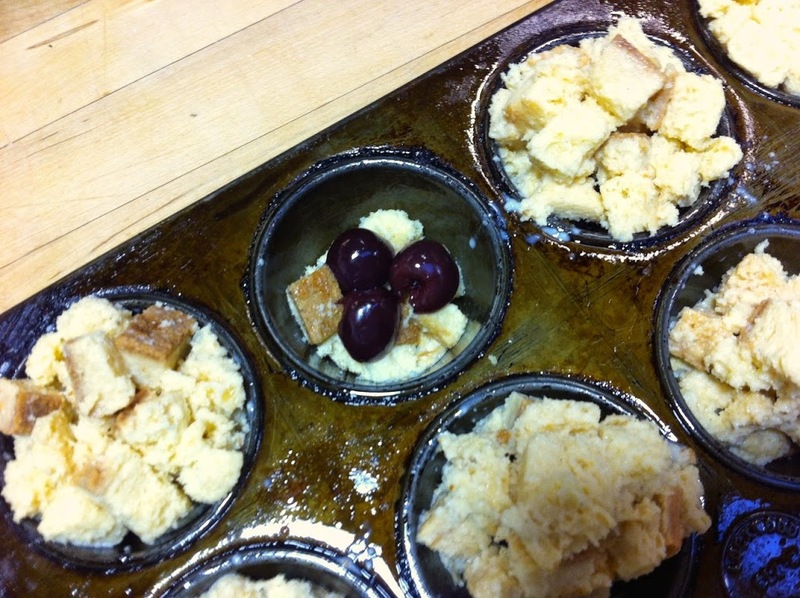 Part way through we would switch, so I had a chance to do the semolina ones and she the bread pudding ones. This strategy was awesome and we were super fast at the plating! 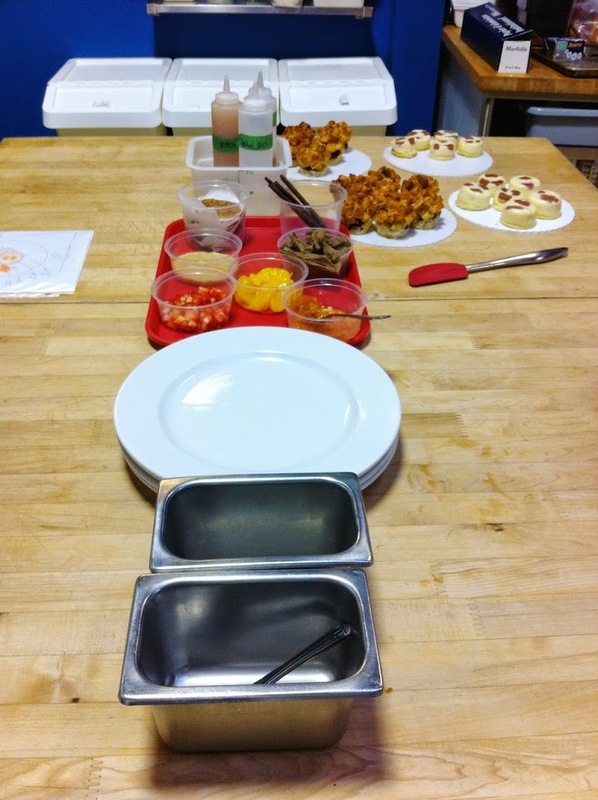 Our setup was really efficient so we were able to get stuff out quickly and our dishes matched the sample plates really well. Our first few needed a bit of work and it was great to get the feedback, but we quickly got the hang of it. 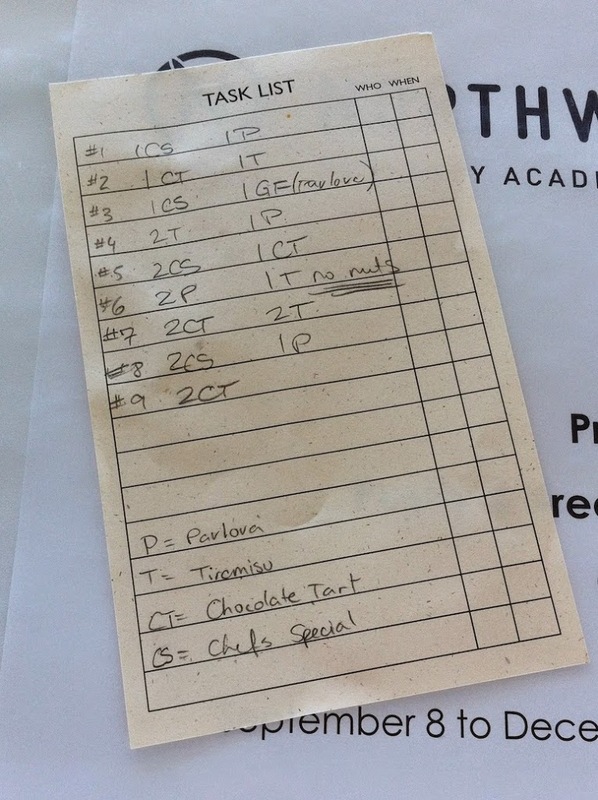 We kept track of the orders as they came in, and had to repeat them to the chef to confirm that we heard them. It started out slowly with 1 dessert each, but quickly worked up to 2 each. I was surprised at how much I enjoyed the plating. Likely in part due to my partner, we just worked really well together at this, but also it was just fun! I love making things pretty and doing things efficiently. The initial anxiety over the service portion quickly went away once we got started. I completely forgot to take pics of our finished plates, so here’s a picture of Lindsay and Haylee’s plated puddings. I hated everything about today. 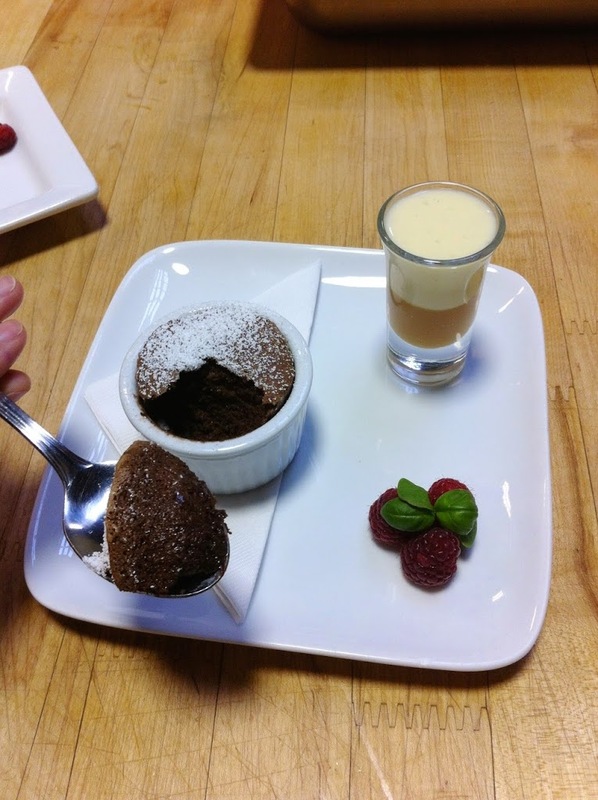 It started with Chef Stacy telling us we had to come up with our own dessert today. Umm… what? Like, from scratch? No direction? This is pretty much my nightmare… please kill me. Thankfully Sophia had an idea in mind, and we started with that and came up with all of the elements. It was a bit ambitious and out of my comfort zone, but we went with it. Sophia is one of these people that just goes for it. She tries different, crazy things, isn’t afraid of failing, and pushes herself to learn as much as possible… basically the exact opposite of me. If it were up to me, we would have done a simple chocolate mousse or something. Something I’ve done before, something I knew would turn out well. Safe. We had a crapload of stuff to do today. 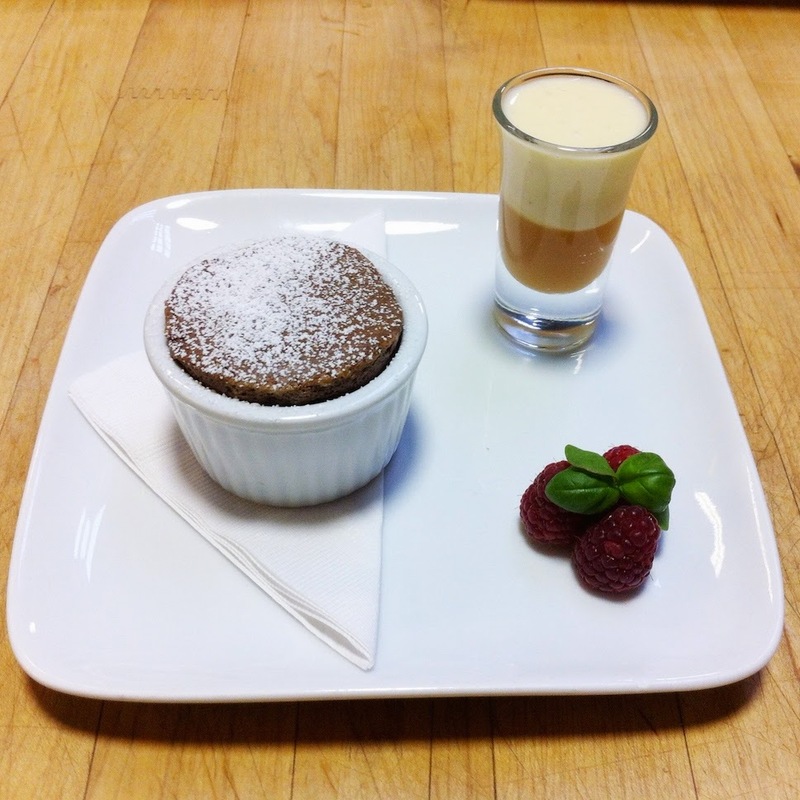 In addition to our own dessert, we had to create elements of TWO more desserts that we’d be plating tomorrow. This was especially tough for us, as we didn’t have anyone at the table next to us, so we had to make all of these elements ourselves. Everyone else had 3 or 4 people working on this same list. Thankfully Lindsay, Max, and Hogan helped us out with a couple of components. I’m super grateful for that. 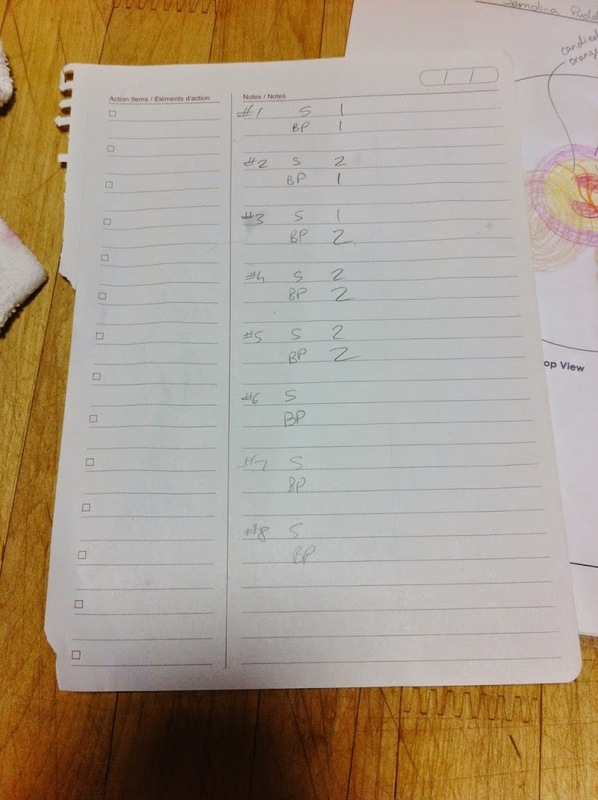 I was too busy to even think about taking pictures today, so the only one I have is of our crossed off Task List at the end of the day! The day started with our last quiz. I think I did pretty well, but you never really know until you get your marks. It was pretty easy, but sometimes I make stupid mistakes. Still, I was happy with how it went. After the quiz we moved on to the day. 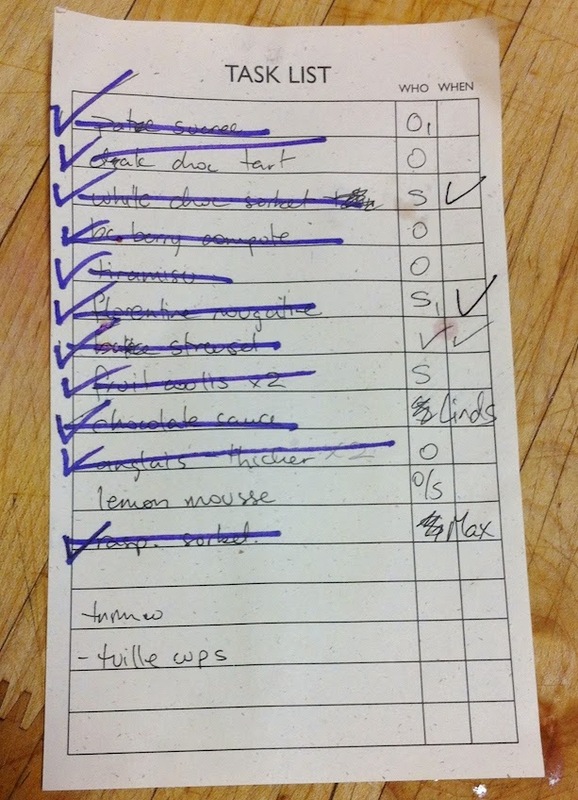 We still had a lot to do to prep for all the plating and service in the afternoon. 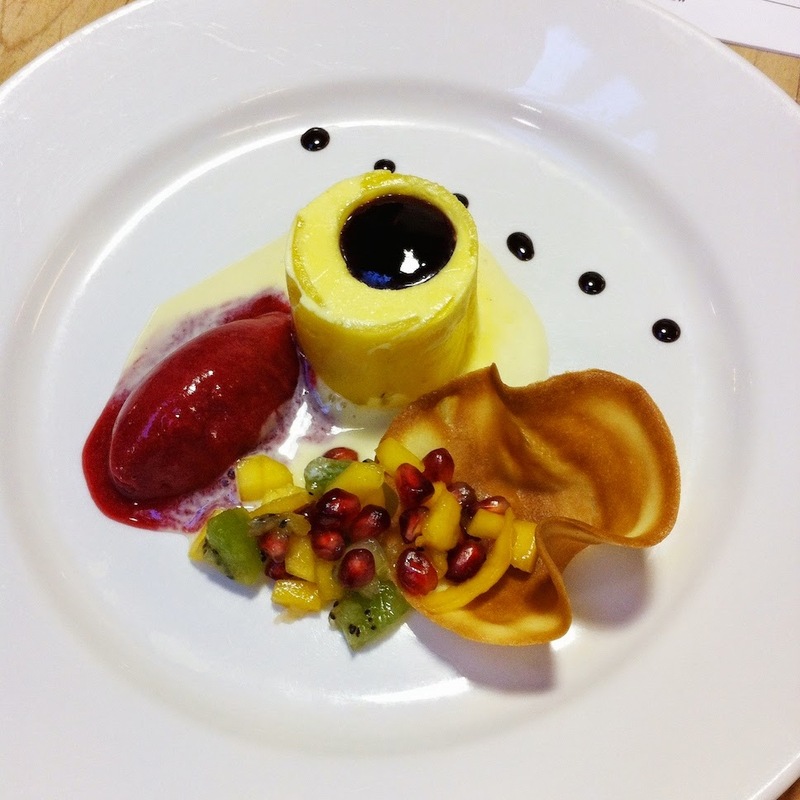 We had to finish off our lemon mousse dessert, create a bunch of garnishes and sides, etc. 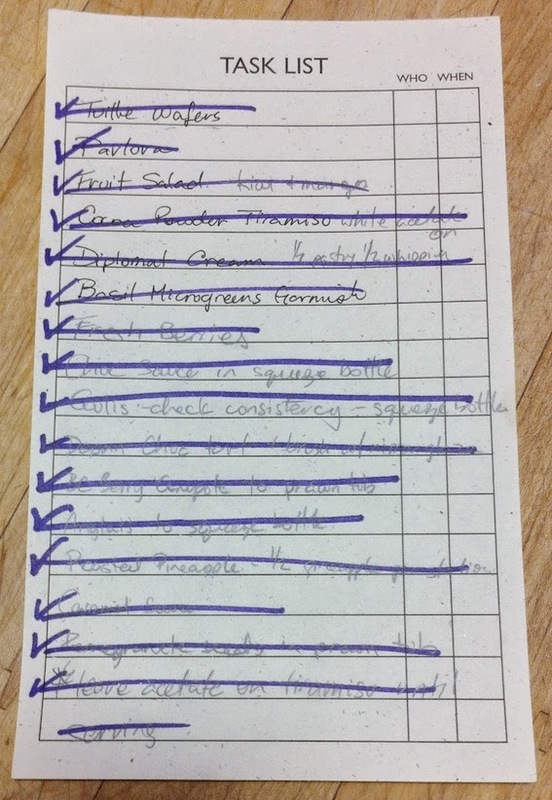 It’s a long list, but each item was done fairly quickly. We made Pavlova today for a FOURTH dessert that we would be plating. I’ve never had pavlova, but always wanted to try it, so I was excited about it. Post-baking. 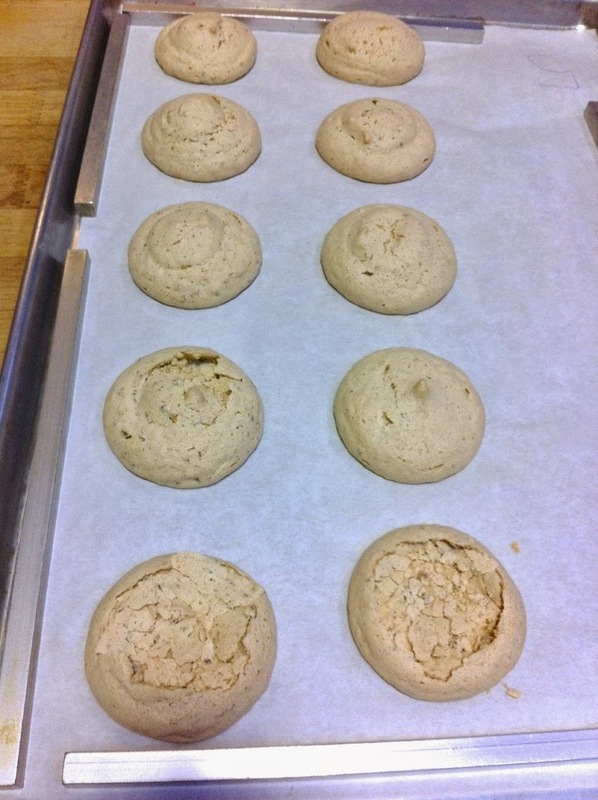 As soon as they come out, you need to cave in the tops with a spoon to create a sort of cup to hold the filling. Once all of our tasks were done, it was time to set up for service. As you can see, there’s a LOT more stuff on our table today, since we have double the desserts. Again, super lucky to have all of this space to use – all other teams had half this amount… I don’t even know how you’d manage. Naturally, we used every inch of the space we had, and we had an awesome setup. Won’t have this luxury again, so may as well use it while we can! Same game plan today: Sophia owned the Lemon Mousse and Chocolate Tart, and I had the Tiramisu and Pavlova, then we switched halfway through. We worked really well together again, and just got into a groove. Orders would be flying in and we were just on top of it. 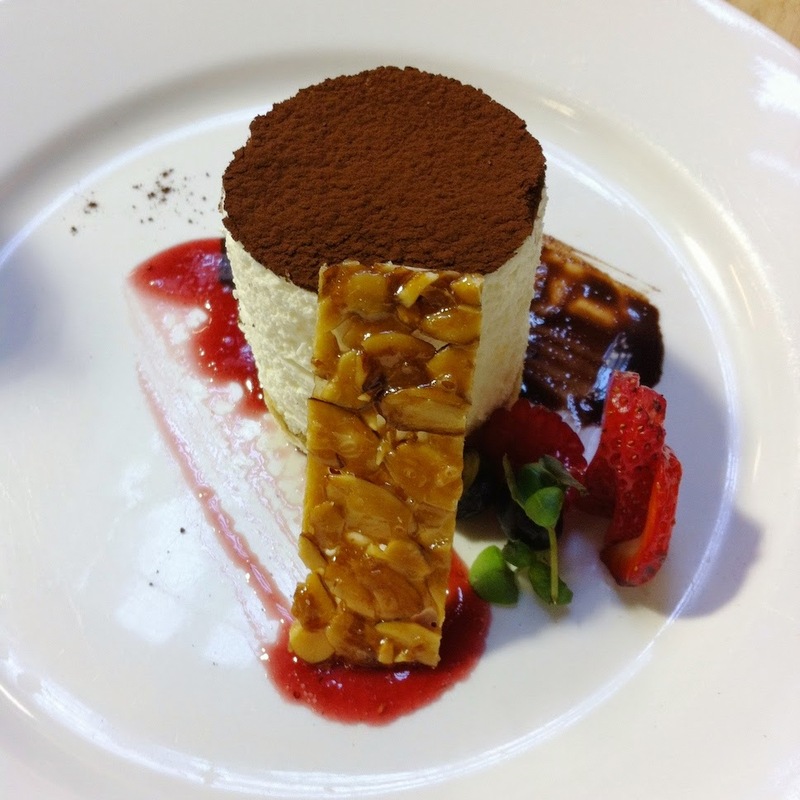 Chef Jonathan started to throw us curveballs like… ‘1 Gluten Free dessert’ or ‘No Nuts’ and we had to quickly think of how to make that work. The Pavlova was GF, but you had to think about it a bit to make sure ALL of the elements were GF. 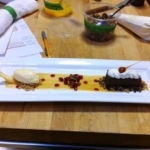 Even with these curve balls we were able to execute the desserts quickly. Feedback from Chef Stacy was always appreciated, and each of our plates slowly got better and better. We had a lot of fun with this again, and really enjoyed the service portion. 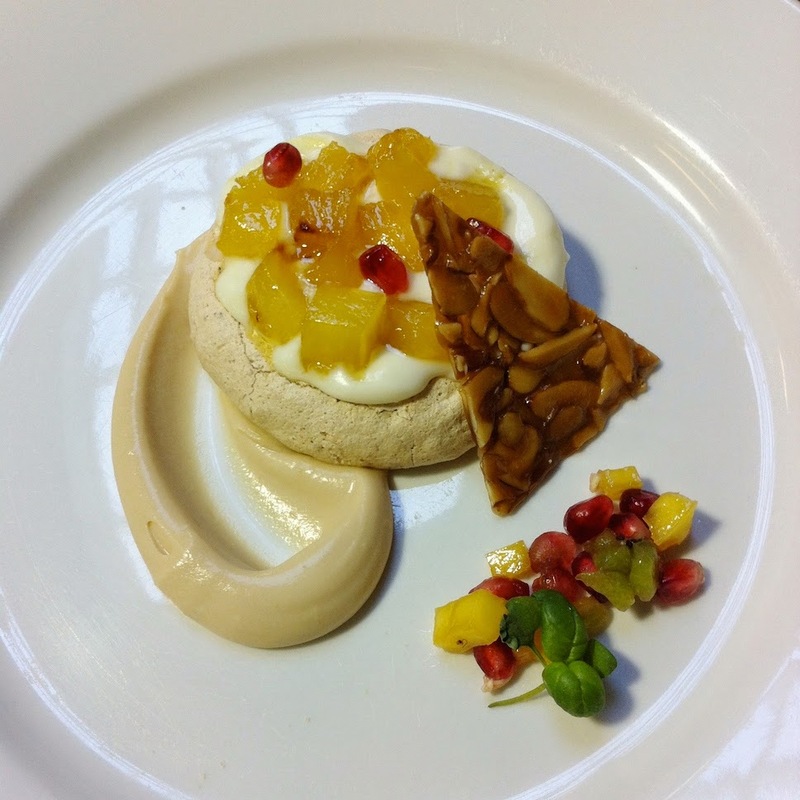 First up was pavlova on a bed of caramel diplomat cream with roasted pineapple and pomegranate, a side of fruit salad, and a nougatine triangle as garnish. 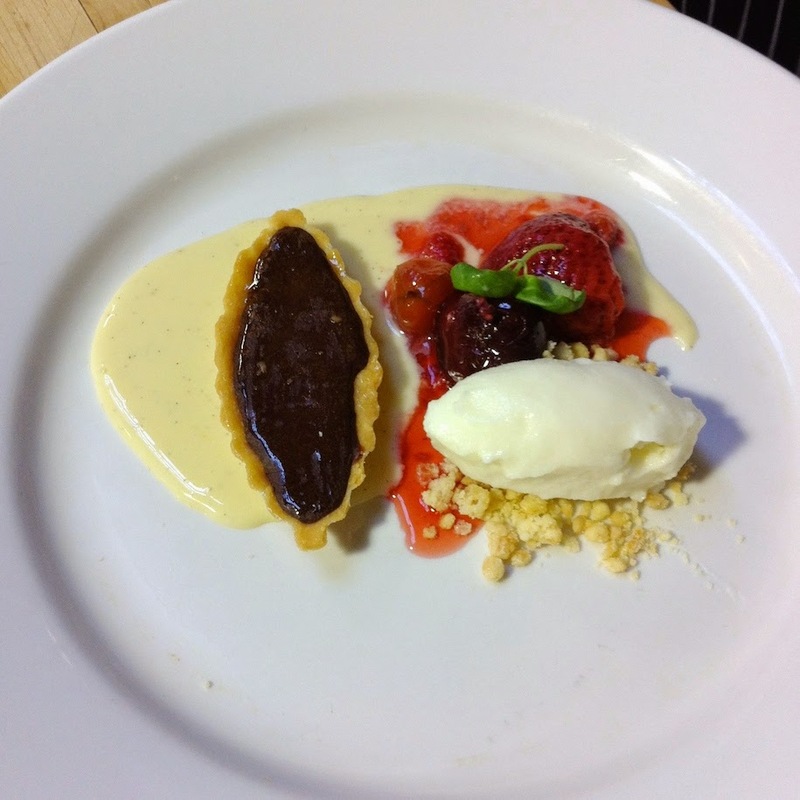 Chocolate tart on a bed of cremé anglais, BC berry compote, streusel, and white chocolate ice cream. Tiramisu on chocolate sauce, and raspberry coulis with fresh berries and nougatine as garnish. And finally, our epic dessert creation. 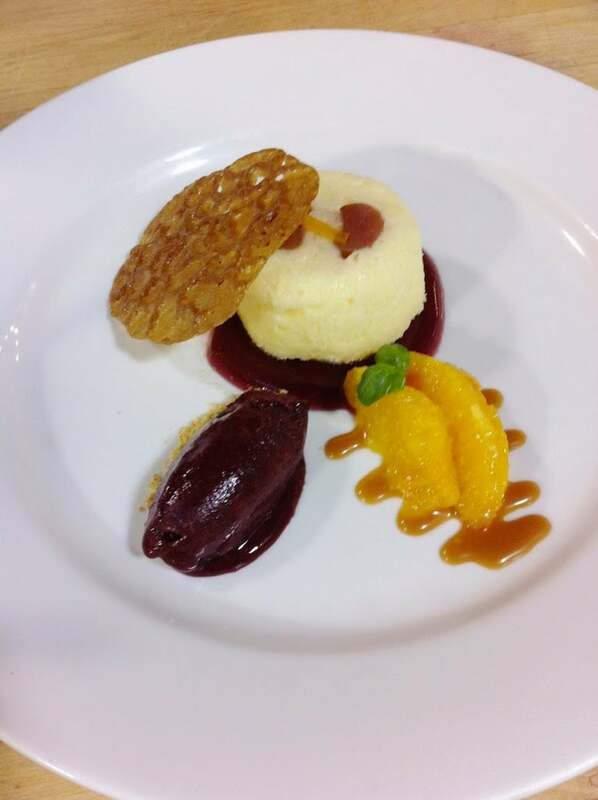 Lemon mousse infused with lemongrass, lined with pineapple and filled with raspeberry coulis, on a bed of cremé anglais with a tuile wafer, fruit salad, and raspberry sorbet on the side. I should have taken a pic yesterday of how Sophia made the mousse. I’ll try my best to explain it… She took a silicone mold and turned it upside down like this, placed a small (maybe 2″) entremet ring over top of the domes in the silicone. 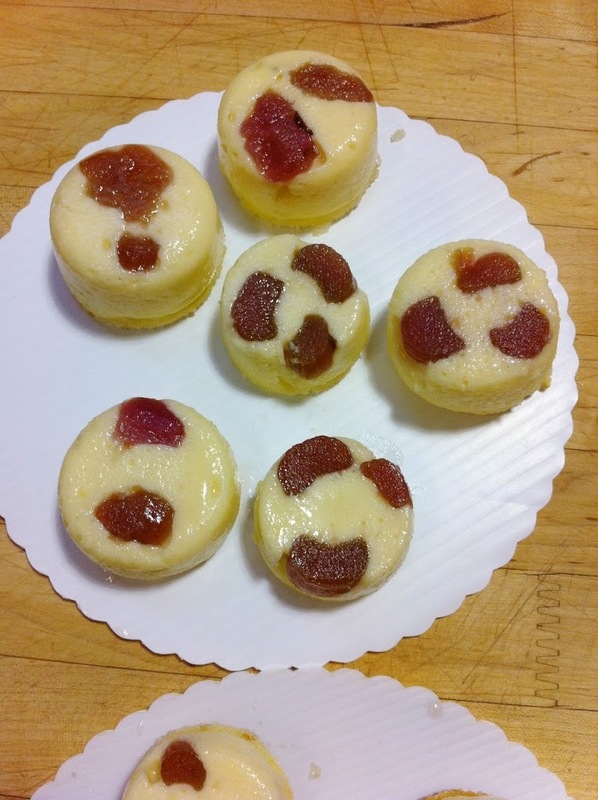 She lined the inside of each ring with acetate and then very thinly sliced pineapple, filled the center with lemon mousse, and popped it in the freezer. 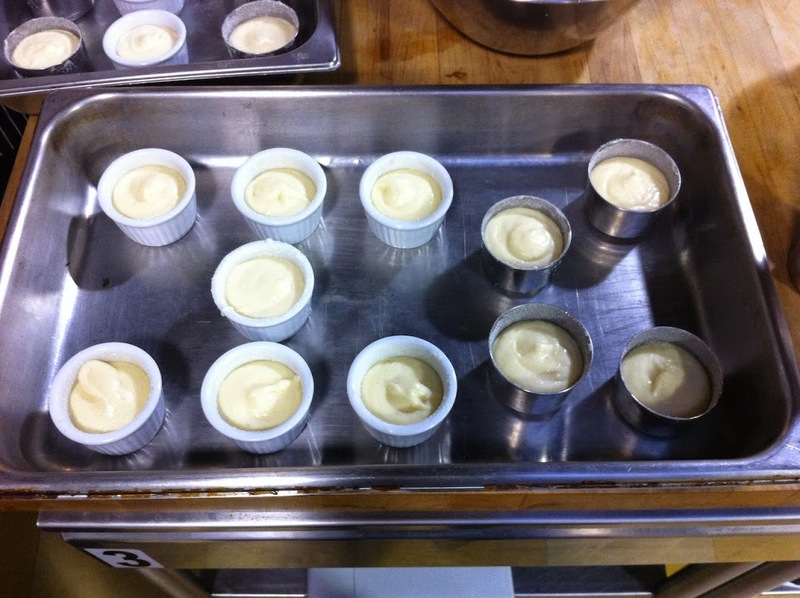 The next day, we demolded these and flipped them over so each mousse had a little cavern in it that could be filled with raspberry coulis. See what I mean about ambitious?? This whole thing was way out of my comfort zone, but it turned out really well. This whole exercise was a great experience overall. We made some mistakes but learned a lot, and most importantly we had fun doing it. Ok not yesterday… but today was fun! At the end of the day on Thursday, Chef Stacy went over our Black Box and Menu Development projects that are coming up. The Black Box (not tomorrow but next Monday) seriously stresses me out. 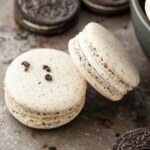 Basically, we come in and get a list of ingredients and certain specific techniques, and then have to create a dessert on the fly THAT DAY. So for example, we might be told we have to make a dessert that includes a cake, a mousse, a cookie and 2 sauces, and that incorporates ginger, almond, lemon, and chocolate. 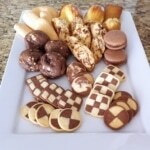 There’s a variety of different possible combinations, and Chef Stacy did provide us a list of the possible ingredients and techniques. STILL though… every time I think about it my anxiety level skyrockets. 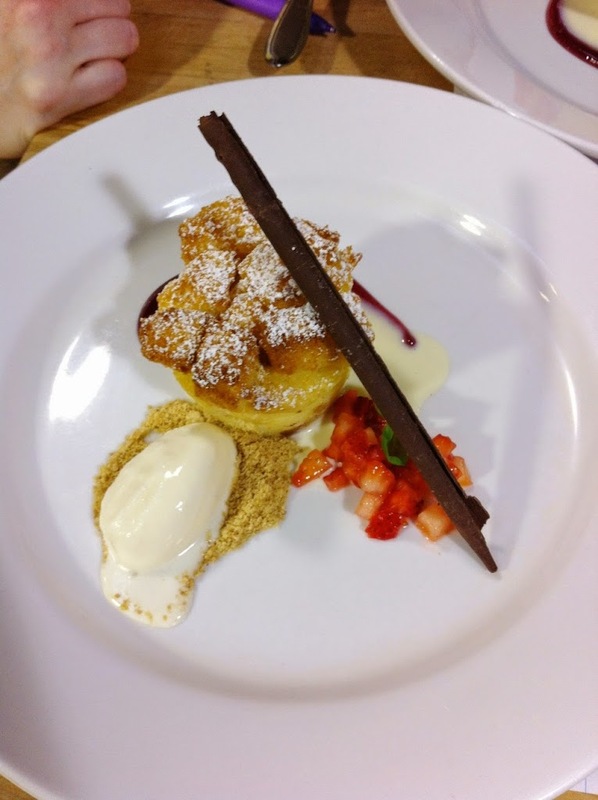 We also found out about our menu development project, in which we have to come up with 3 desserts, create a menu using them (including costing), make the desserts, and then do a service like we’ve been practicing. Thankfully we’ll have partners for this, and I’m praying that I have a good partner. I honestly can’t even think about the Menu Development stuff until the Black Box is over. Oh, and we also have our Final Practical and Theory in there too. Omg. That all starts a week from tomorrow. 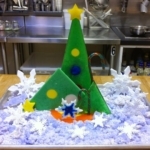 Next week we have 2 more days of production and service, and then we move into 3 days where we do our fondant cake project. 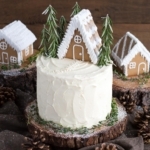 I was super excited about the cake project – it was the thing I was looking forward to most this entire program – but then I found out it wasn’t even graded, so that bummed me out a bit. Still though, Lindsay and I have a good idea for it, and I think it will be fun. And at least that’s a bit of pressure off, as the two weeks after that will pretty much be hell. Can you please send me recipe for Mimi apple tarte Tatin posted on Sept 25, 2014? 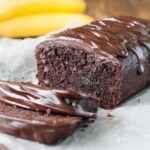 There is a photo on your website but I can’t find the recipe. Thanks so much!